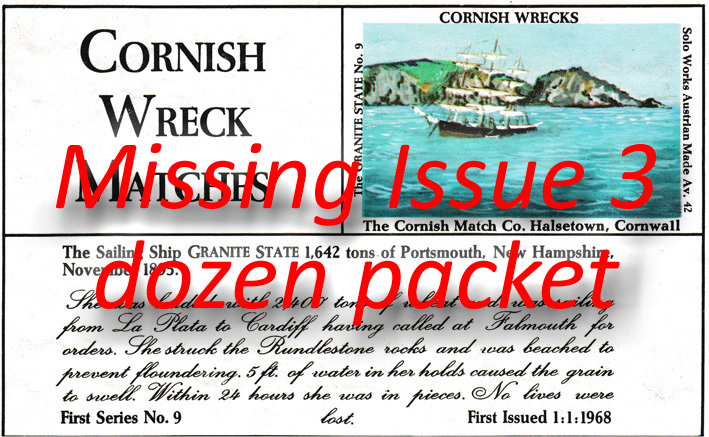 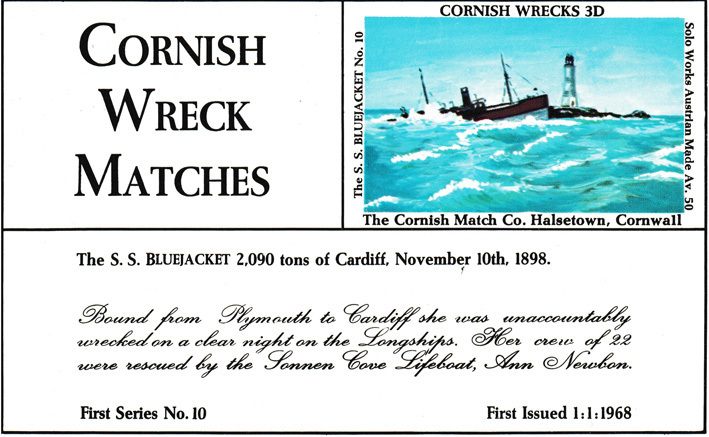 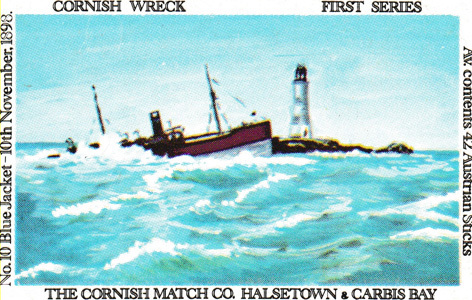 Bound from Plymouth to Cardiff she was unaccountably wrecked on a clear night on the Longships. 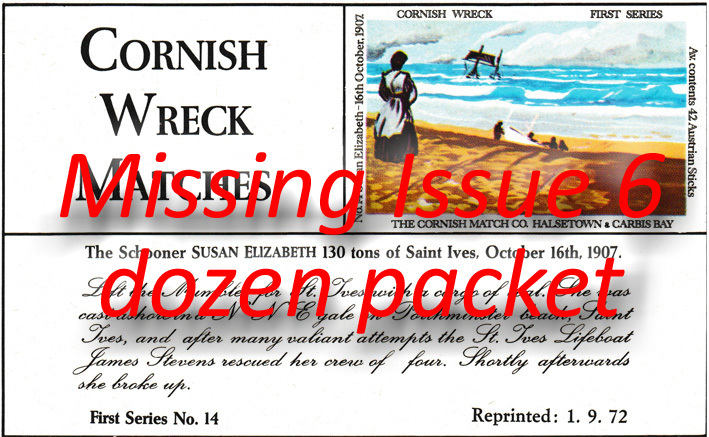 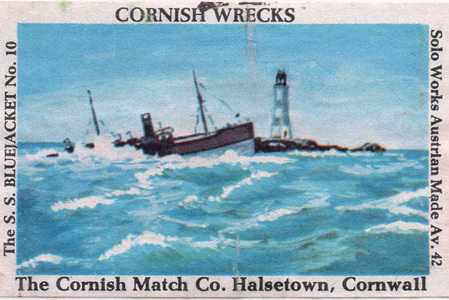 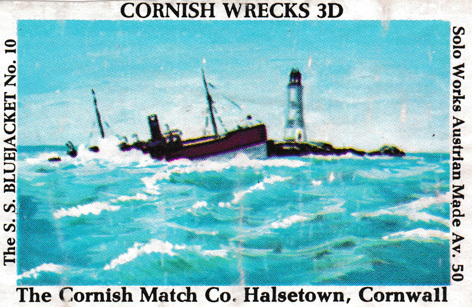 Her crew of 22 were rescued by the Sennen Cove lifeboat Ann Newbon on 10th November 1898. 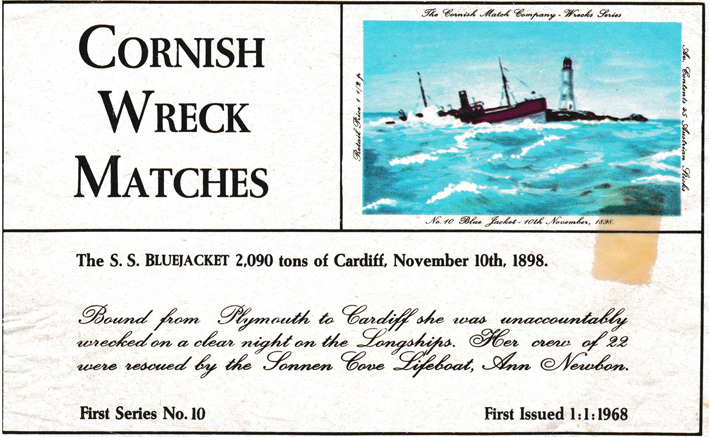 This illustration was part of the First Series and appeared in Issues 2, 3, 5 and 6. 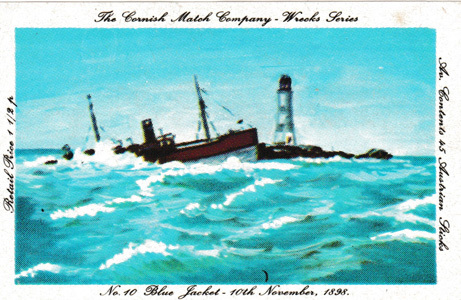 It was also number 104 in Issue 22. 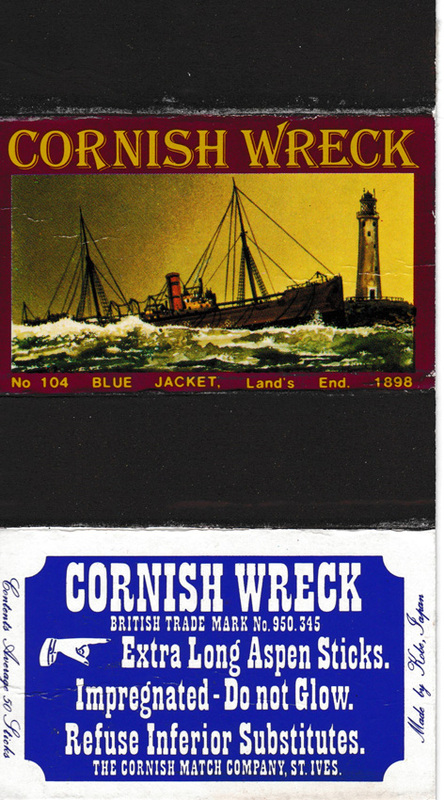 These are all the known labels showing this illustration.